With handles it is significantly cheaper compared to Crane! Thanks for deal! Gudsen released new firmware update for its Moza Air that offers new ways to control the motion of the head, as well as better timelapse features for long exposures. The Moza Air now allows operators to control the direction and angle of the head remotely just by moving a small handlebar-mounted control unit. 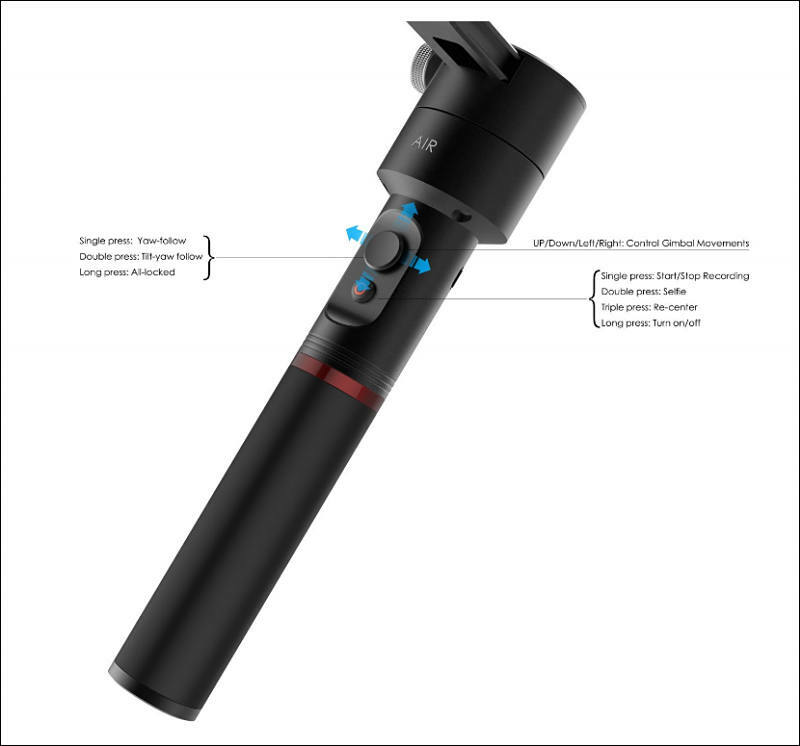 With the supplied thumb controller attached to a set of handle bars, the Bluetooth-paired head mimics the motion of the bars so that the mounted camera can be moved by small increments without the user even touching the gimbal. Also added improved timelapse functionality, ensuring the head is still during long exposures. It does this by using a 'move-stop-shoot-move' process rather than a continuous moving path across the programmed points. 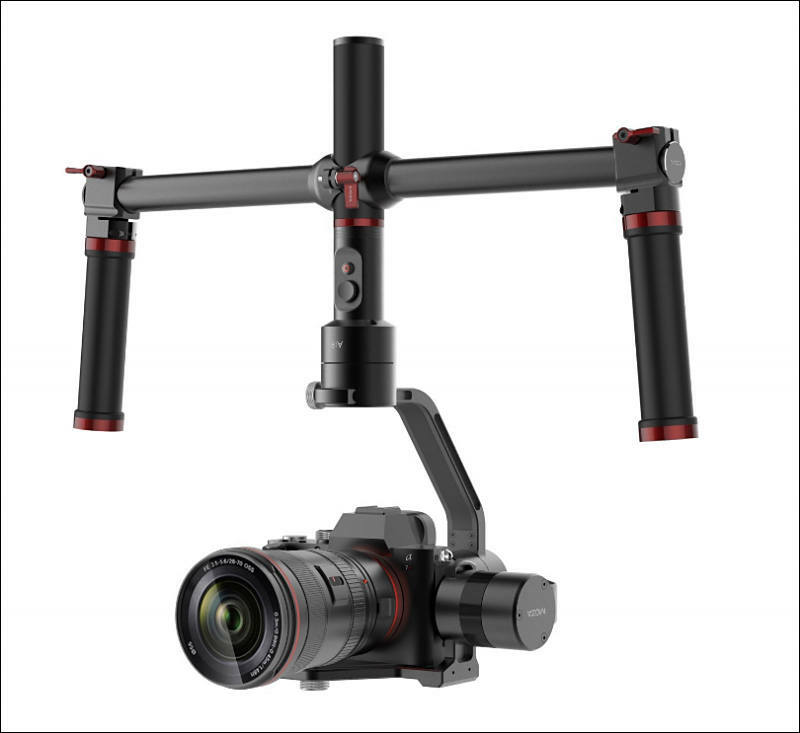 I'm ready to shop for new Gimbal and was going to go for Zhiyun Crane as reviews are pretty solid in favor of it. The Moza looks great on paper but seems to have some flaws a big one for me is IOS only app. Another thing that bothers me is two reviews mentioned tilted horizons which is big negative one of the things I hated on my first gimbal. Also that controller is nice but adds $199. I'm giving it another month and see if better reviews come out. Another thing that bothers me is two reviews mentioned tilted horizons which is big negative one of the things I hated on my first gimbal. This must be easy fixable by software calibration. @Vitaliy_Kiselev One would hope but it was an issue with the original Beholder. The horizon would drift and no calibration would stop it. That being said I thought encoders were the end all for that issue but read 2 reviews where reviewers have mentioned the issue on the Moza Air. It is really something serious. 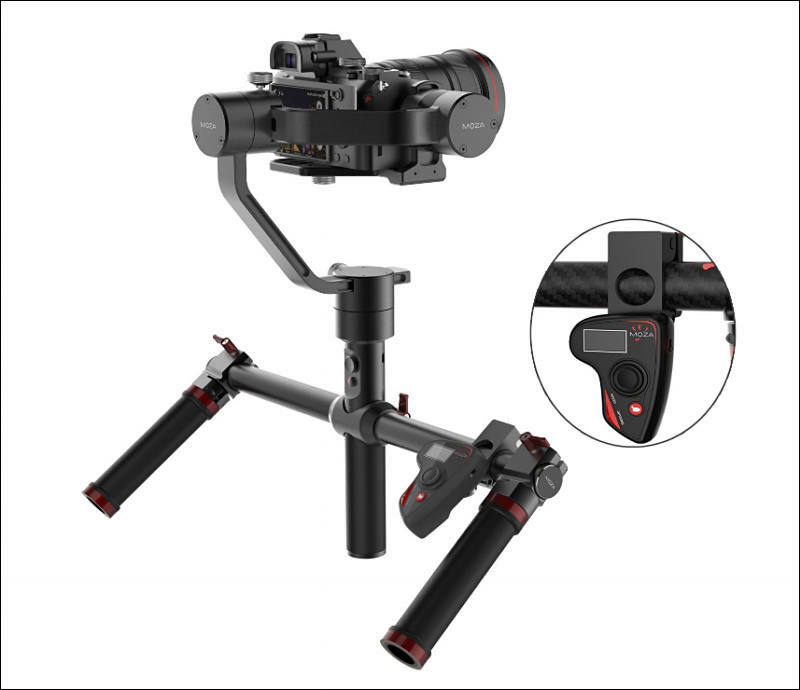 Even simplest gimbal must not have it, as sensor always allows controller to see such stuff. I've been using the Moza Air for my vlogs lately - I'm really loving it.